The Philippines should pour more money into science and technology to further boost its standing as Asia’s new tiger economy. This was the gist of the keynote speech of Silicon Valley venture capitalist and technopreneur Diosdado Banatao at the 2nd Philippine Investment Seminar which was held in Boston on April 26 as part of the 2nd Philippine Investment Roadshow. The Boston roadshow was organized by the Philippine Embassy and the Consulate General in New York. 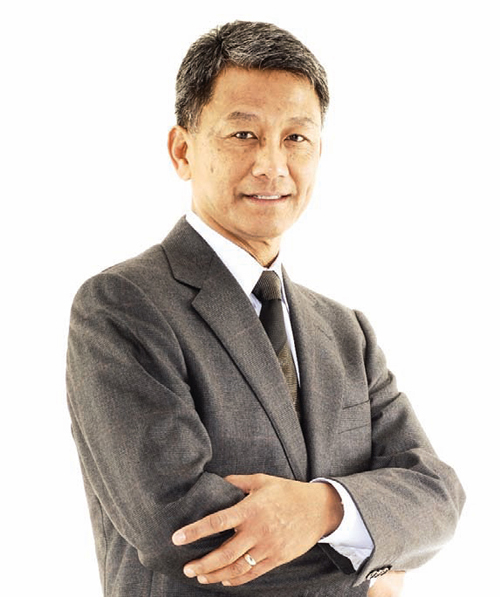 Banatao, managing partner of Menlo Park, Calif.-based Tallwood Venture Capital, argued for an increase in the budget for science and technology, particularly in research and development, to enhance the country’s capacity for innovation. “The Philippine Government should jumpstart investments in science and technology to improve the country’s competitiveness in electronics, biotechnology, among others,” Banatao said, citing figures that placed government spending on science and technology at only 0.09% of the country’s GDP. Banatao acknowledged the government’s interventions in terms of scholarships and partnerships with the private sector. He also strongly recommended that Philippine Science High Schools should be under the Department of Education and not the Department of Science and Technology in order to further strengthen science education programs. According to Banatao, there is a need to encourage more Filipino students to take engineering, science and technology courses and to produce many doctorate degree holders in these fields. “The Philippines is faring low compared with its neighbors in terms of the number of PhD graduates produced,” he said. To strengthen the country’s competitiveness, industry experts and analysts recommend the establishment of science and technology centers of excellence; and the implementation of more focused manpower and institutional development programs, such as the Engineering and Science Education Program. In addition, they recommend the establishment of regional centers of research and development to support specific industries and closely linked with the science and technology centers of excellence; and the creation of business centers, near the centers of excellence, which will assist, advice and incubate technopreneurship ventures. Banatao is helping the Philippines move closer to this through Phildev, a nonprofit organization that seeks to help the Philippines attain a sustainable, long-term economic growth, where he sits as chairman. Phildev’s projects in the Philippines include those that improve the quality education and the provision of Internet access to elementary and high school students. As an engineer, Banatao is credited with developing several key semiconductor technologies and is regarded as a Silicon Valley visionary. His Tallwood Venture Capital invests in unique and hard-to-do semiconductor technology solutions for computing, communication, and consumer platforms. Banatao and his wife Maria run a Filipino American Fund which provides scholarships to Filipino students in Northern California who want to pursue a college education in engineering.